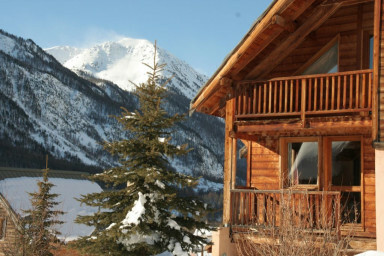 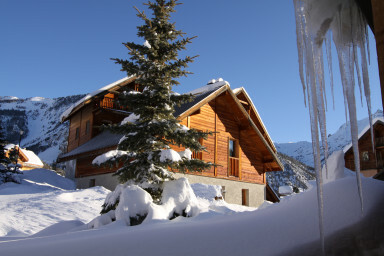 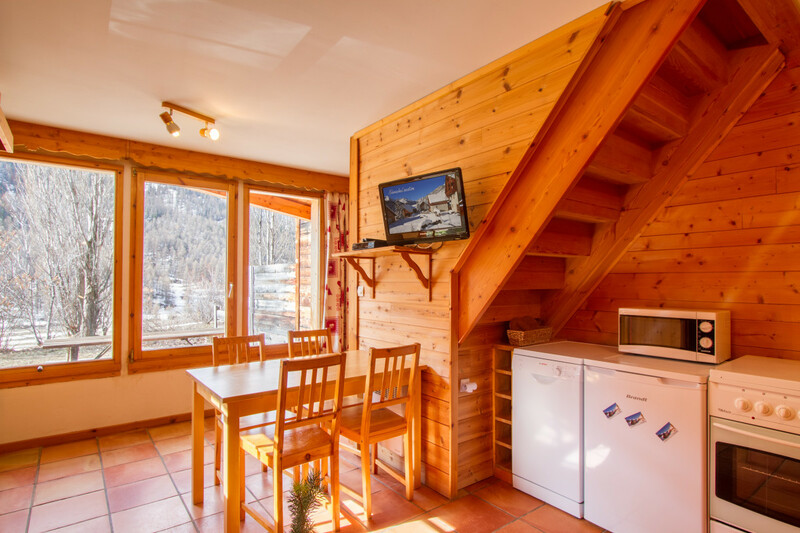 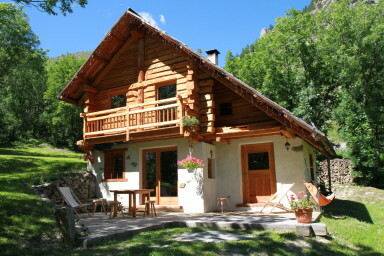 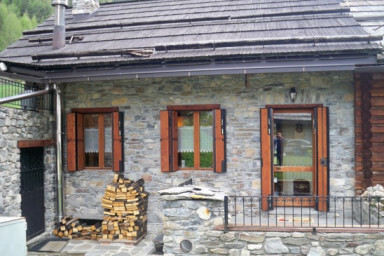 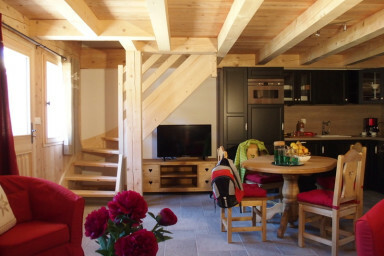 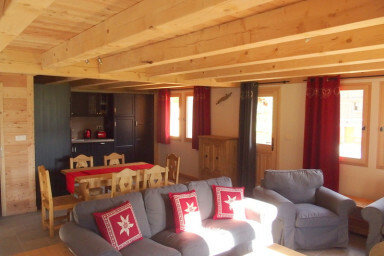 A Névache in "Clarée Valley " we offer in all seasons chalets and apartments. 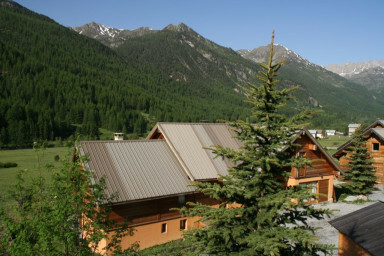 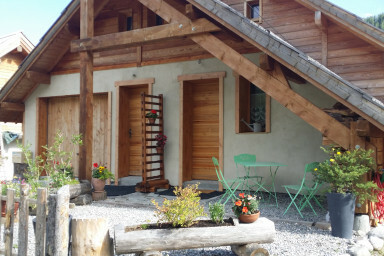 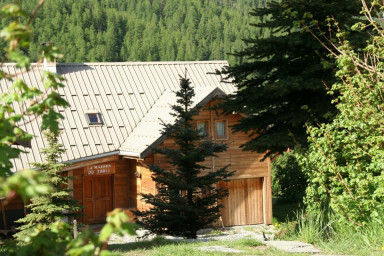 the Hameau des Chazals is located on the south side of the valley in the mountain pastures at the foot of the cross country ski trails. 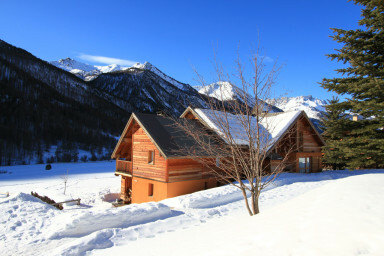 Very sunny during summer and winter it offers very beautiful views of the surrounding mountains. 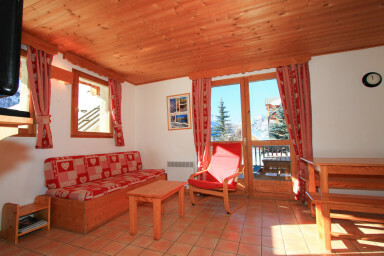 From its southern windows you can contemplate the skiers on the cross country tracks. 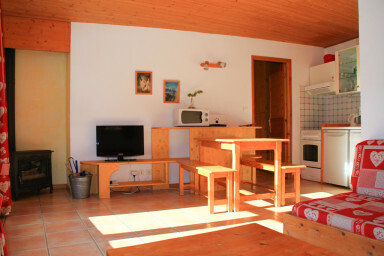 Warm and welcoming, you will pass excellent relaxing days. 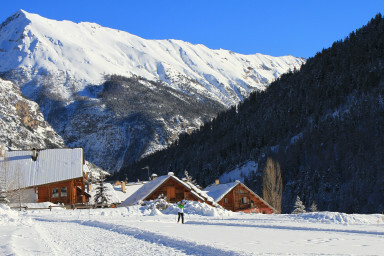 The Queyrellin owes its name to a nearby summit of the Clarée valley. 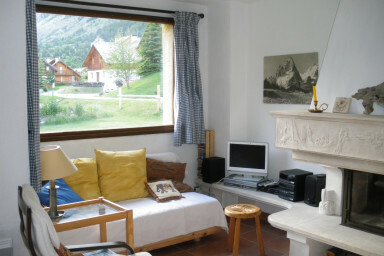 The largest of the hamlet, this country cottage benefits from an exceptional view to south and west on the valley end. 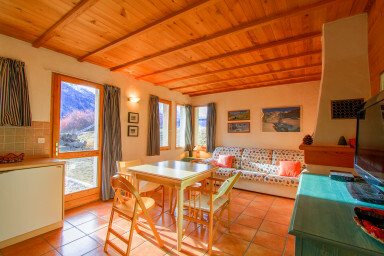 This country cottage has the right name : “sun”! 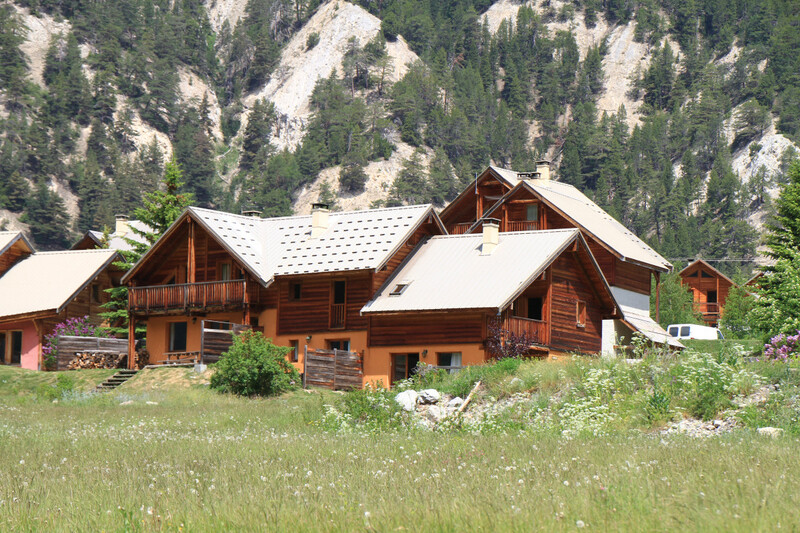 Full southern exposure and the higher up the hamlet it enjoys a dominant view. The only studio of the hamlet, Barlèt means in Névachais “a small barrel intended to preserve water”. 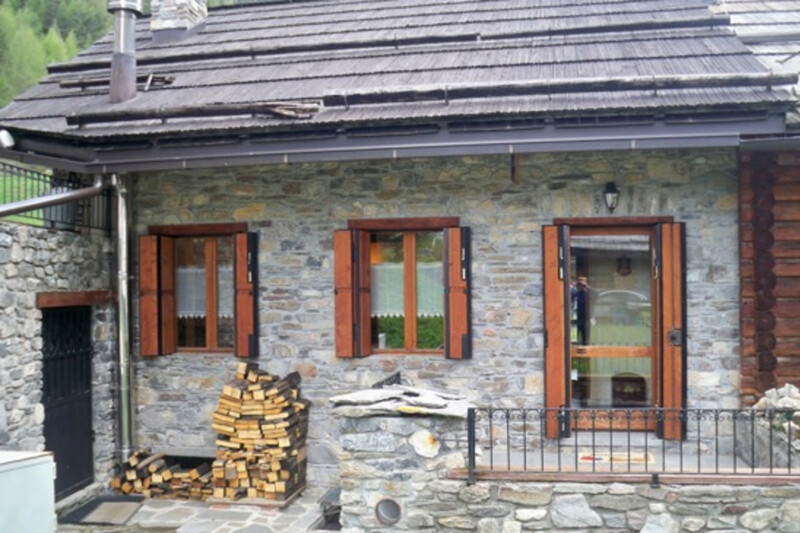 Part of a 3 levels cottage coming out directly to south on the pastures. Gouroùn mean in névachais "corridor in the rocks"
Exposed to the south, its terrace is on the west. 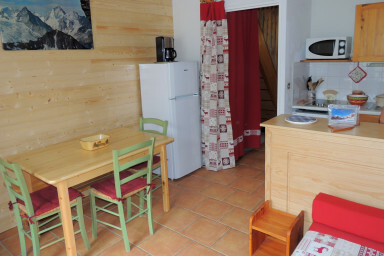 The Challanches is a first floor apartment of a small building with 2 levels. 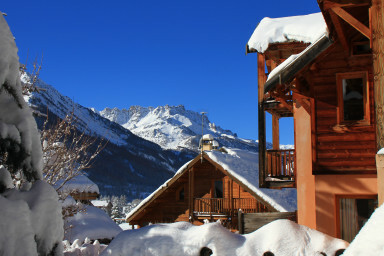 Very sunny . 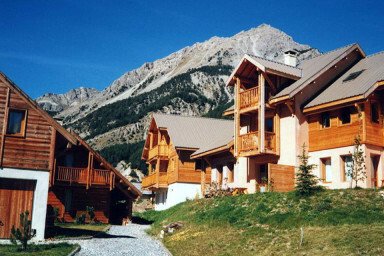 It offers a real panorama on the mountain. 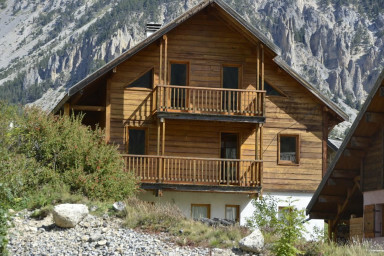 Exposed to south and east, this chalet on the edge of the hamlet Chazals has four bedrooms and is open to the mountain pasture. 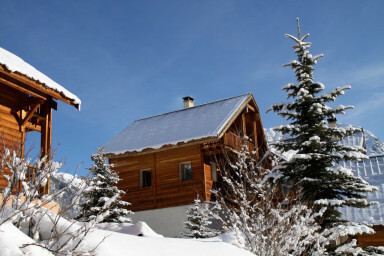 The Baouba is located on the front of the hamlet: on the snowfront in winter! 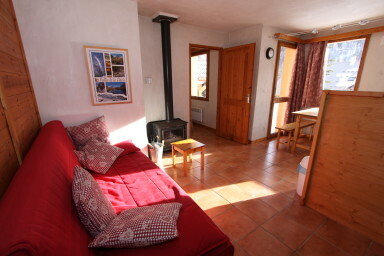 Ground floor of a cottage in the south western edge of the hamlet. 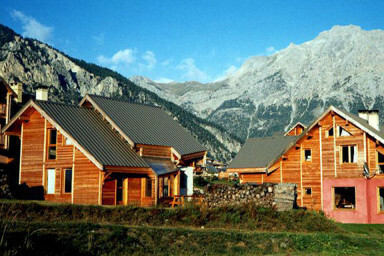 Faced to south with a beautiful view of the mountains.